I have gone to great lengths on this blog in order to explain how and why a degree in physics prepares you for seemingly different careers, or at least does not hurt. But it would have been so simple. I will now illustrate this – using just two incomprehensible images. Actually, I have a hidden agenda: The top page on this blog is my review of the book Student Friendly Quantum Field Theory. Of course I am trying now to coast on its success. This is more complicated than Feynman’s path integrals!! So if QFT does not prepare you for plumbing and IT security – I don’t know what does. 1) Feynman diagrams spotted in pipework – especially in the way the Chief Engineer depicts it! We assume that this sort of documentation is commented by your typical HVAC contractor with What does he have smoked?? The Chief Engineer’s Piping Diagrams. Captions in German but not important anyway. One of his ingenious inventions is built from many of these units. 2) Feynman diagrams in certificate paths – in the way authors of Request for Comments envisage the proper usage of related internet protocols. This is the kind of paper any developer sometimes SHOULD read to cross-check implementation versus best practices but I MIGHT give because the RFC is rather PhD-thesis-like. Certificate path validation, RFC 4158. Details again not important. It is about trust, cast into cryptographic relationships. Again these structures are fractal and you would see more and more trees and branches the deeper you dig. Feynman diagram of a SUSY process. 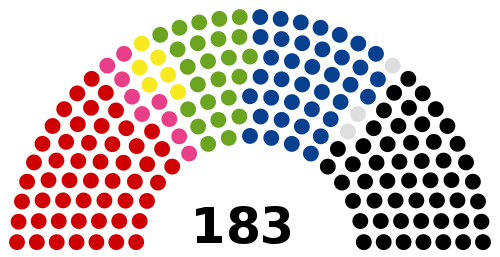 Details – again – not important, and I would not be able to answer questions anyway (Wikimedia, user Patrick87). As a disclaimer in case any practicing theoretical physicist feels offended: Of course I don’t intend to say that either of these things is as complicated or requires as much training as Quantum Field Theory. Feynman diagrams are often described as depicting the reactions between elementary particles. Yet they are shortcut for very unwieldy integrals in an abstract space. Drawings of pipework and also the certificate paths seem more tangible. But the latter is replacing cryptographic relationship by little sticks and the former is after all an abstract map of physical items using 2D symbols. Mankind’s first maps, scratched in the dirt with a stick or carved into a stone with another stone, were as rudimentary as the scribbles of toddlers. … As more time passed, the realism became scientific in both its precision and its abstraction. The mapmaker began to use sophisticated tools like the direction-finding compass and the angle-measuring theodolite and to rely on mathematical reckonings and formulas. Eventually, in a further intellectual leap, maps came to be used not only to represent vast regions of the earth or heavens in minute detail, but to express ideas—a plan of battle, an analysis of the spread of an epidemic, a forecast of population growth. Building and interpreting – abstract – maps of all kinds has become a key ‘skill’ – from software enterprise architecture diagrams to all sorts of infographics shared on social media like How Douglas Adams predicted the iPad. Hyper-Jelly – Again. Why We Need Hyperspace – Even in Politics. This is a quote from Worstward Ho by Samuel Beckett – a poem as impenetrable and opaque as my post on quantization. There is a version of Beckett’s poem with explanations, so I try again, too! I stated that the description of a bunch of particles (think: gas in a box) naturally invokes the introduction of a hyperspace having twice as many dimensions as the number of those particles. Why do we need additional dimensions for each particles? Can’t they live in the same space? Why does the collection of the states of all possible systems occupy a patch in 1026 dimensional phase space? These are nearly the same questions. I start from a non-physics example this time, because I believe this might convey the motivation for introducing these dimensions better. These dimensions are not at all related to hidden, compactified, extra large dimensions you might have read about in popular physics books on string theory and cosmology. They are not tangible dimensions in the sense we could feel them – even if we weren’t like those infamous ants living on the inflating balloon. Using grand physics-inspired language I call that ordered collection of numbers: Austria’s Political State Vector. These are six numbers thus this is a vector in a 6-dimensional Political State Space. After the elections we know the political state vector with certainty – that is: a probability of 1. Each points represents a different state the system may finally settle in. Since the polls are hopefully meaningful and voters not too irrational points are not scattered randomly in space but rather close to each other. Now imagine millions of polls – such as citizens’ political opinions tracked every millisecond by directly wiretapping their brains. This would result in millions of points, all close to each other. Not looking too closely, this is a blurred patch or spot – a fairly confined region of space covered with points that seems to merge into a continuous distribution. Watching the development of this red patch over time lets us speculate on the law underlying its dynamics – deriving a trend from the dynamics of voters’ opinions. 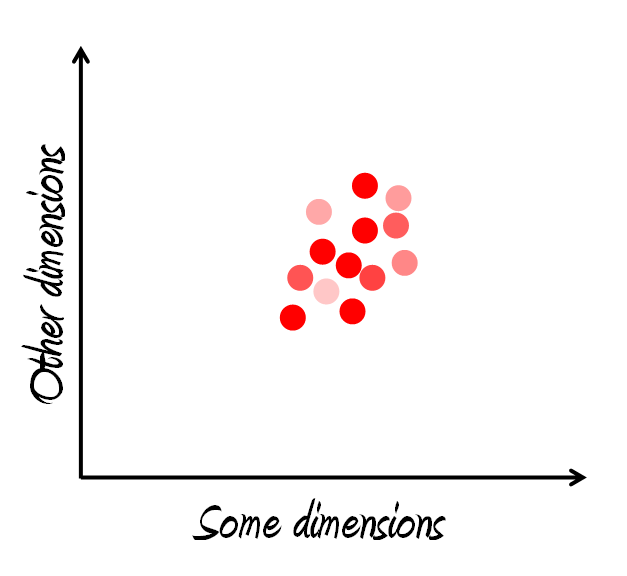 Statistical mechanics is similar, just the numbers of dimensions are much bigger. In order to describe what each molecule of gas in a room does, we need 6 numbers per molecules – 3 for its spatial coordinates, and 3 for its velocity. Each particle lives in the same real space where particles wiggle and bump into each other. 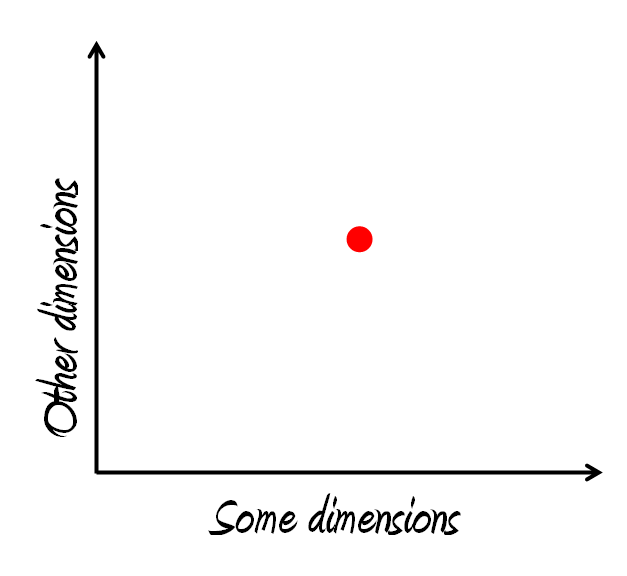 All those additional dimensions only emerge because we want to find a mathematical representation where each potential system state shows up as a single dot – tagged with a certain probability. As in politics! We stuff all positions and velocities of particles into an enormous state vector – one ordered collection with about 1026 different numbers corresponds to a single dot in hyperspace. The overall goal in statistical mechanics is to calculate something we are really interested in – such as temperature of a gas. We aim at calculating probabilities for different states! But what’s interesting isn’t the exact solution of the exact problem for a particular set of starting conditions. When your car goes over a bump, you’re interested in what the behavior is: is there a sudden bounce and a slide back to normal? Does the car wobble for a short while? Does it wobble for a long while? What’s the behavior? You have asked me for giving you the equations. I will try my best and keep the intro paragraphs of this post in mind. What do we know and what do we want to calculate? We are interested in how that patch moves and is transformed – that is probability (the hue of red) as a function of the positions and momenta of all particles. This is a function of 1026 variables, usually called a distribution function or a density. We know anything about the system, that is the forces at play. 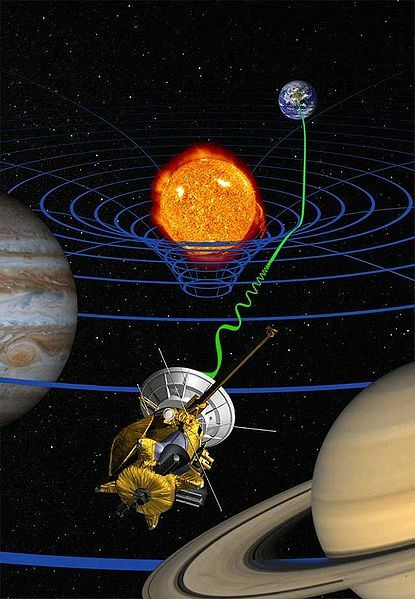 Knowing forces is equivalent to knowing the total energy of a system as a function of any system configuration – if you know the gravitational force a planet exerts than you know gravitational energy. You could consider the total energy of a system the infamous formula in science fiction movies that spies copy from the computer in the secret laboratories to their USB sticks: If you know how to calculate the total energy as a function of the positions and momenta of all particles – you literally rule the world for the system under consideration. If we know this energy ‘world function’ we could attach a number to each point in hyperspace that indicate energy, or we could draw the hyper-planes of constant energies – equivalent of isoclines in a map. The dimension of the hyperplane is the dimension of the hyperspace minus one, just as the familiar 2D planes floating through 3D space. We are still in a classical world. The equations of motions of hyper-jelly are another way to restate Newton’s equations of motion. You start with writing down Force = mass x accelerating for each particle (1026 times), rearrange these equations by using those huge state vectors just introduced – and you end up with an equation describing the time evolution of the red patch. I picked the jelly metaphor deliberately as it turns out that hyper-jelly acts as an incompressible fluid. Jelly cannot be destroyed or created. If you try to squeeze it in between two planes it will just flow faster. This really follows from Newton’s law or the conservation of energy! It might appear complicated to turn something as (seemingly) comprehensible as Newton’s law into that formalism. But that weird way of watching the time evolution of the red patch makes it actually easier to calculate what really matters! Anything that changes in the real world – the time evolution of any quantity we can measure – is expressed via the time evolution of hyper-jelly. The Liouville equation puts this into math. What I do here is not that obscure but I use some pseudo-code to obscure the most intimidating math. I do now appreciate science writers who state We use a mathematical crank that turns X into Y – despite or because they know exactly what they are talking about. Spatial variations in the system’s energy can be translated to the distance of those isoclines – this is exactly what Newton’s translates into! (In addition we apply the chain rule in vector calculus). The main difference is in the brackets – square versus curly: We consider phase space so any function and changes thereof is calculated in phase space co-ordinates – positions and momenta of particles. These cannot be measured or calculated in quantum mechanics with certainty at the same time. In a related way the exact order of operations does matter in quantum physics – whereas the classical counterparts are commutative operations. The square bracket versus the angle bracket is where these non-commutative operations are added – as additional constraints to classical theory. I think I have reached my – current – personal limits in explaining this, while still not turning this blog into in a vector calculus lecture. Probably this stuff is usually not popularized for a reason. My next post will focus on quantum fields again – and I try to make each post as self-consistent anyway. 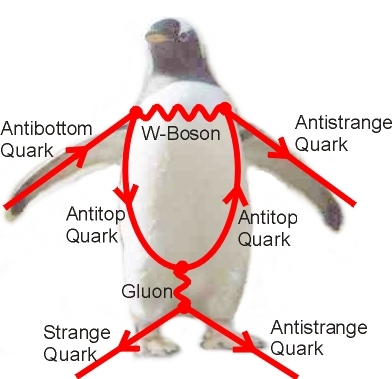 Yes, this is a serious physics post – no. 3 in my series on Quantum Field Theory. This shows the timelines in Back to the Future – in case you haven’t recognized it immediately. What I am trying to say here is – again – is so-called classical theory is as geeky, as weird, and as fascinating as quantum physics. Experts: In case I get carried away by my metaphors – please see the bottom of this post for technical jargon and what I actually try to do here. I am using my favorite simple example: A point-shaped mass connected to an massless spring or a pendulum, oscillating forever – not subject to friction. The speed of the mass is zero when the motion changes from ‘upward’ to ‘downward’. It is maximum when the pendulum reaches the point of minimum height. Anything oscillates: Kinetic energy is transferred to potential energy and back. Position, velocity and acceleration all follow wavy sine or cosine functions. This picture of the spring’s or pendulum’s motion is called a phase portrait in phase space. Actually we use momentum, that is: velocity times mass, but this is a technicality. The phase portrait is a way of depicting what a physical system does or can do – in a picture that allows for quick assessment. Real-life oscillating systems do not follow simple cycles. The so-called Van der Pol oscillator is a model system subject to damping. It is also non-linear because the force of friction depends on the position squared and the velocity. Non-linearity is not uncommon; also the friction an airplane or car ‘feels’ in the air is proportional to the velocity squared. Searching for this image I have learned from Wikipedia that the Van der Pol oscillator is used as a model in biology – here the physical quantity considered is not a position but the action potential of a neuron (the electrical voltage across the cell’s membrane). Thus plotting the rate of change of in a quantity we can measure plotted versus the quantity itself makes sense for diverse kinds of systems. This is not limited to natural sciences – you could also determine the phase portrait of an economic system! Chaos Theory has become popular via the elaborations of Dr. Ian Malcolm (Jeff Goldblum) in the movie Jurassic Park. Chaotic systems exhibit phase portraits that are called Strange Attractors. An attractor is the set of points in phase space a system ‘gravitates’ to if you leave it to itself. There is no attractor for the simple spring: This system will trace our a specific circle in phase space forever – the larger the bigger the initial push on the spring is. The most popular strange attractor is probably the Lorentz Attractor. It was initially associated with physical properties characteristic of temperature and the flow of air in the earth’s atmosphere, but it can be re-interpreted as a system modeling chaotic phenomena in lasers. We had Jurassic Park – here comes the jelly! A single point-particle on a spring can move only along a line – it has a single degree of freedom. You need just a two-dimensional plane to plot its velocity over position. Allowing for motion in three-dimensional space means we need to add additional dimensions: The motion is fully characterized by the (x,y,z) positions in 3D space plus the 3 components of velocity. Actually, this three-dimensional vector is called velocity – its size is called speed. Thus we need already 6 dimensions in phase space to describe the motion of an idealized point-shaped particle. Now throw in an additional point-particle: We need 12 numbers to track both particles – hence 12 dimensions in phase space. Why can’t the two particles simply use the same space? Both particles still live in the same 3D space, they could also inhabit the same 6D phase space. The 12D representation has an advantage though: The whole system is represented by a single dot which make our lives easier if we contemplate different systems at once. Now consider a system consisting of zillions of individual particles. Consider 1 cubic meter of air containing about 1025 molecules. Viewing these particles in a Newtonian, classical way means to track their individual positions and velocities. In a pre-quantum mechanical deterministic assessment of the world you know the past and the future by calculating these particles’ trajectories from their positions and velocities at a certain point of time. Of course this is not doable and leads to practical non-determinism due to calculation errors piling up and amplifying. This is a 1025 body problem, much much much more difficult than the three-body problem. Fortunately we don’t really need all those numbers in detail – useful properties of a gas such as the temperature constitute gross statistical averages of the individual particles’ properties. Thus we want to get a feeling how the phase portrait develops ‘on average’, not looking too meticulously at every dot. The full-blown phase space of the system of all molecules in a cubic meter of air has about 1026 dimensions – 6 for each of the 1025 particles (Physicists don’t care about a factor of 6 versus a factor of 10). Each state of the system is sort of a snapshot what the system really does at a point of time. 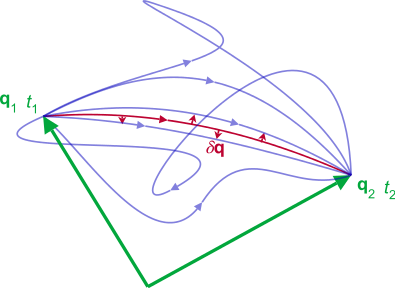 It is a vector in 1026 dimensional space – a looooong ordered collection of numbers, but nonetheless conceptually not different from the familiar 3D ‘arrow-vector’. Since we are interesting in averages and probabilities we don’t watch a single point in phase space. We don’t follow a particular system. We rather imagine an enormous number of different systems under different conditions. Considering the gas in the cubic vessel this means: We imagine molecule 1 being at the center and very fast whereas molecule 10 is slow and in the upper right corner, and molecule 666 is in the lower left corner and has medium. Now extend this description to 1025 particles. But we know something about all of these configurations: There is a maximum x, y and z particles can have – the phase portrait is limited by these maximum dimensions as the circle representing the spring was. The particles have all kinds of speeds in all kinds of directions, but there is a most probably speed related to temperature. The collection of the states of all possible systems occupy a patch in 1026 dimensional phase space. This patch gradually peters out at the edges in velocities’ directions. Now let’s allow the vessel for growing: The patch will become bigger in spatial dimensions as particles can have any position in the larger cube. Since the temperature will decrease due to the expansion the mean velocity will decrease – assuming the cube is insulated. Precisely defined initial configurations of systems configurations have a tendency to get mangled and smeared out. Note again that each point in the jelly is not equivalent to a molecule of gas but it is a point in an abstract configuration space with a huge number of dimensions. We can only make it accessible via projections into our 3D world or a 2D plane. The temporal evolution in this hyperspace is indeed governed by equations that are amazingly similar to those governing an incompressible liquid – such as water. There is continuity and locality: Hyper-Jelly can’t get lost and be created. Any increase in hyper-jelly in a tiny volume of phase space can only be attributed to jelly flowing in to this volume from adjacent little volumes. In summary: Classical mechanical systems comprising many degrees of freedom – that is: many components that have freedom to move in a different way than other parts of the system – can be best viewed in the multi-dimensional space whose dimensions are (something like) positions and (something like) the related momenta. Can it get more geeky than that in quantum theory? I said in the previous post that quantization of fields or waves is like turning down intensity in order to bring out the particle-like rippled nature of that wave. In the same way you could say that you add blurry waviness to idealized point-shaped particles. Another is to consider the loss in information via Heisenberg’s Uncertainly Principle: You cannot know both the position and the momentum of a particle or a classical wave exactly at the same time. 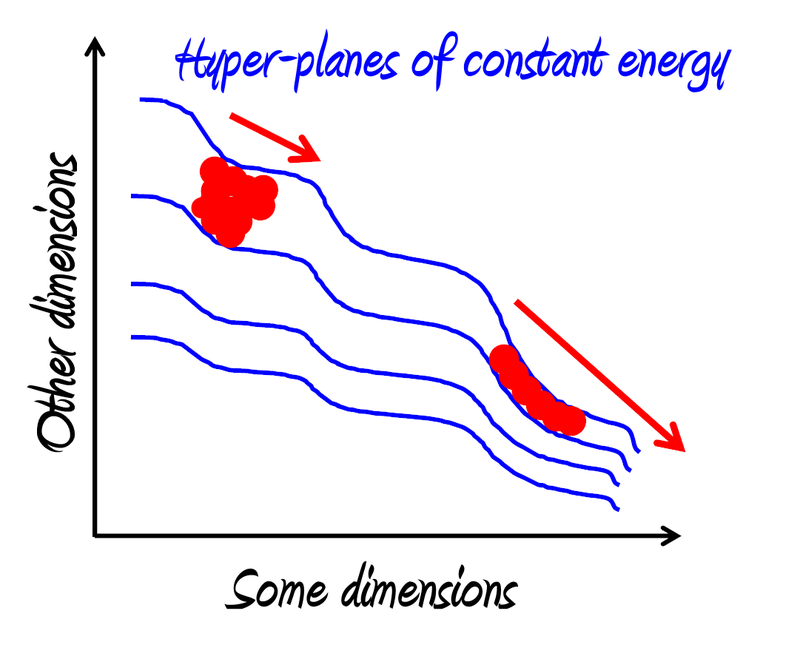 By the way, this is why we picked momenta and not velocities to generate phase space. You calculate positions and momenta of small little volumes that constitute that flowing and crawling patches of jelly at a point of time from positions and momenta the point of time before. That’s the essence of Newtonian mechanics (and conservation of matter) applied to fluids. Doing numerical calculation in hydrodynamics you think of jelly as divided into small little flexible cubes – you divide it mentally using a grid, and you apply a mathematical operation that creates the new state of this digitized jelly from the old one. Since we are still discussing a classical world we do know positions and momenta with certainty. This translates to stating (in math) that it does not matter if you do calculations involving positions first or for momenta. There are different ways of carrying out steps in these calculations because you could do them one way of the other – they are commutative. Calculating something in this respect is similar to asking nature for a property or measuring that quantity. Thus when we apply a quantum viewpoint and quantize a classical system calculating momentum first and position second or doing it the other way around will yield different results. The quantum way of handling the system of those 1025 particles looks the same as the classical equations at first glance. The difference is in the rules for carrying out calculation involving positions and momenta – so-called conjugate variables. Thus quantization means you take the classical equations of motion and give the mathematical symbols a new meaning and impose new, restricting rules. I probably could just have stated that without going off those tangent. However, any system of interest in the real world is not composed of isolated particles. We live in a world of those enormous phase spaces. In addition, working with large abstract spaces like this is at the heart of quantum field theory: We start with something spread out in space – a field with infinite degrees in freedom. Considering different state vectors in these quantum systems is considering all possible configurations of this field at every point in space! I have taken a detour through statistical mechanics: Introducing Liouville equations as equation of continuity in a multi-dimensional phase space. The operations mentioned – related to positions of velocities – are the replacement of time derivatives via Hamilton’s equations. 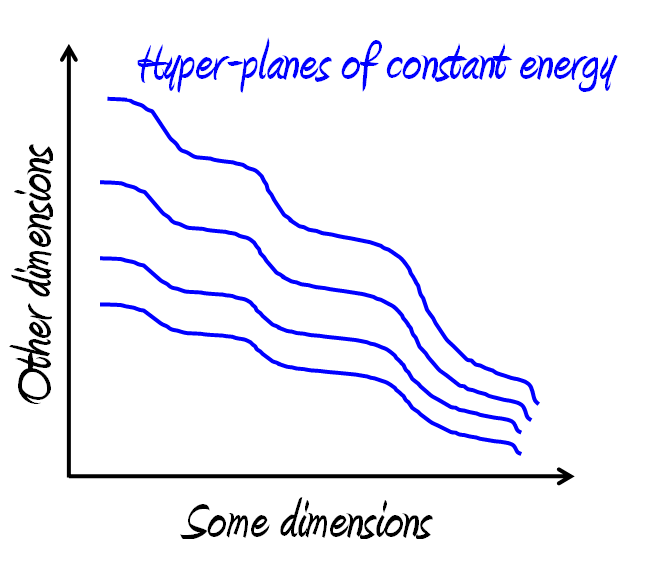 I resisted the temptation to mention the hyper-planes of constant energy. Replacing the Poisson bracket in classical mechanics with the commutator in quantum mechanics turns the Liouville equation into its quantum counterpart, also called Von Neumann equation. I know that a discussion about the true nature of temperature is opening a can of worms. We should rather describe temperature as the width of a distribution rather than the average, as a beam of molecules all travelling in the same direction at the same speed have a temperature of zero Kelvin – not an option due to zero point energy. The Lorenz equations have been applied to the electrical fields in lasers by Haken – here is a related paper. I did not go into the difference of the phase portrait of a system showing its time evolution and the attractor which is the system’s final state. I also didn’t stress that was is a three dimensional image of the Lorenz attractor and in this case the ‘velocities’ are not depicted. You could say it is the 3D projection of the 6D phase portrait. I basically wanted to demonstrate – using catchy images, admittedly – that representations in phase space allows for a quick assessment of a system. I also tried to introduce the notion of a state vector in classical terms, not jumping to bras and kets in the quantum world as if a state vector does not have a classical counterpart. I have picked an example of a system undergoing a change in temperature (non-stationary – not the example you would start with in statistical thermodynamics) and swept all considerations on ergodicity and related meaningful time evolutions of systems in phase space under the rug. As Feynman explains so eloquently – and yet in a refreshingly down-to-earth way – understanding and learning physics works like this: There are no true axioms, you can start from anywhere. Your physics knowledge is like a messy landscape, built from different interconnected islands of insights. You will not memorize them all, but you need to recapture how to get from one island to another – how to connect the dots. The beauty of theoretical physics is in jumping from dot to dot in different ways – and in pondering on the seemingly different ‘philosophical’ worldviews that different routes may provide. This is the second post in my series about Quantum Field Theory, and I try to give a brief overview on the concept of a field in general, and on why we need QFT to complement or replace Quantum Mechanics. I cannot avoid reiterating some that often quoted wave-particle paraphernalia in order to set the stage. From sharp linguistic analysis we might conclude that is the notion of Field that distinguishes Quantum Field Theory from mere Quantum Theory. Solar energy is absorbed at the earth’s surface. In summer the net energy flow is directed from the air to the ground, in winter the energy stored in the soil is flowing to the surface again. Temperature waves are slowly propagating perpendicular to the surface of the earth. Modelling the temperature field (as I did – in relation to a specific source of heat placed underground) requires to solve the Heat Transfer Equation which is the mathy equivalent of the previous paragraph. The temperature is calculated step by step numerically: The temperature at a certain point in space determines the flow of heat nearby – the heat transferred changes the temperature – the temperature in the next minute determines the flow – and on and on. This mundane example should tell us something about a fundamental principle – an idea that explains why fields of a more abstract variety are so important in physics: Locality. It would not violate the principle of the conservation of energy if a bucket of heat suddenly disappeared in once place and appeared in another, separated from the first one by a light year. Intuitively we know that this is not going to happen: Any disturbance or ripple is transported by impacting something nearby. Sound waves travelling through air are governed by local field equations. So are light rays or X-rays – electromagnetic waves – travelling through empty space. The term wave is really a specific instance of the more generic field. Electromagnetic fields are more interesting than temperature fields: Temperature, after all, is not fundamental – it can be traced back to wiggling of atoms. Sound waves are equivalent to periodic changes of pressure and velocity in a gas. Quantum Field Theory, however, should finally cover fundamental phenomena. QFT tries to explain tangible matter only in terms of ethereal fields, no less. It does not make sense to ask what these fields actually are. Michael Faraday had introduced the concept of fields in electromagnetism, mathematically fleshed out by James C. Maxwell. Depending on the experiment (that is: on the way your prod nature to give an answer to a specifically framed question) light may behave more like a particle, a little bullet, the photon – as stipulated by Einstein. In Compton Scattering a photon partially transfers energy when colliding with an electron: The change in the photon’s frequency corresponds with its loss in energy. Based on the angle between the trajectories of the electron and the photon energy and momentum transfer can be calculated – using the same reasoning that can be applied to colliding billiard balls. A complete quantum description of an electron or a photon does contain both the wave and particle aspects. 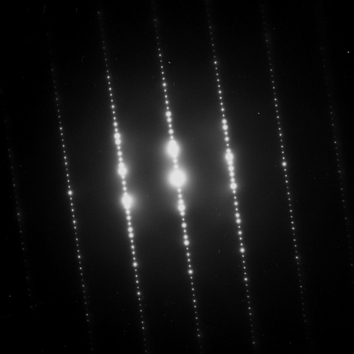 Diffraction patterns like this can be interpreted as highlighting the regions where the probabilities to encounter a particle are maximum. Schrödinger’s equation explains all of chemistry: It allows for calculating the shape of electrons’ orbitals. It explains the size of the hydrogen atom and it explains why electrons can inhabit stable ‘orbits’ at all – in contrast to the older picture of the orbiting point charge that would lose energy all the time and finally fall into the nucleus. Pauli’s exclusion principle explains why matter is extended in space – particles need to put into different orbitals, different little volumes in space. But It is s a rule you fill in by hand, phenomenologically! Schrödinger’s equations discribes single particles as blurry probability waves, but it still makes sense to call these the equivalents of well-defined single particles. It does not make sense anymore if we take into account special relativity. Heisenberg’s uncertainty principle – a consequence of Schrödinger’s equation – dictates that we cannot know both position and momentum or both energy and time of a particle. For a very short period of time conservation of energy can be violated which means the energy associated with ‘a particle’ is allowed to fluctuate. As per the most famous formula in the world energy is equivalent to mass. When the energy of ‘a particle’ fluctuates wildly virtual particles – whose energy is roughly equal to the allowed fluctuations – can pop into existence intermittently. However, in order to make quantum mechanics needed to me made compatible with special relativity it was not sufficient to tweak Schrödinger’s equation just a bit. Relativistically correct Quantum Field Theory is rather based on the concept of an underlying field pervading space. Particles are just ripples in this ur-stuff – I owe to Frank Wilczek for that metaphor. A different field is attributed to each variety of fundamental particles. You need to take a quantum leap… It takes some mathematical rules to move from the classical description of the world to the quantum one, sometimes called quantization. 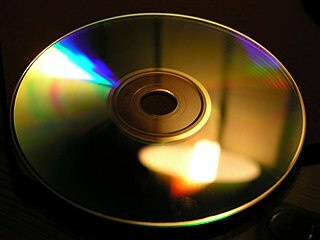 Using a very crude analogy quantization is like making a beam of light dimmer and dimmer until it reveals its granular nature – turning the wavy ray of light into a cascade of photonic bullets. In QFT you start from a classical field that should represent particles and then apply the machinery quantization to that field (which is called second quantization although you do not quantize twice.). Amazingly, the electron’s spin and Pauli’s principle are natural consequences if you do that right. Paul Dirac‘s achievement in crafting the first relativistically correct equation for the electron cannot be overstated. Historically – and this includes some of those old text books I am so fond of – candidate versions of alleged quantum mechanical wave equations have been tested to no avail, such as the Klein-Gordon equation. However this equation turned out to make sense later – when re-interpreted as a classical field equation that still needs to be quantized. It is hard to make sense of those fields intuitively. However, there is one field we are already familiar with: Photons are ripples arising from the electromagnetic field. Maxwell’s equations describing these fields had been compatible with special relativity – they predate the theory of relativity, and the speed of light shows up as a natural constant. No tweaks required! In this series I do not attempt to cover latest research on unified field theories, quantum gravity and the like. But since I started crafting this article, writing about locality when that article on an alleged simple way to replace field theoretical calculations went viral. The principle of locality may not hold anymore when things get really interesting – in the regime of tiny local dimensions and high energy. This is the first post in my series about Quantum Field Theory. What a let-down: I will just discuss classical mechanics. There is a quantum mechanics, and in contrast there is good old classical, Newtonian mechanics. The latter is a limiting case of the former. So there is some correspondence between the two, and there are rules that let you formulate the quantum laws from the classical laws. But what are those classical laws? Chances are high that classical mechanics reminds you of pulleys and levers, calculating torques of screws and Newton’s law F = ma: Force is equal to mass times acceleration. I argue that classical dynamics is most underrated in terms of geek-factor and philosophical appeal. The following picture might have been ingrained in your brain: A force is tugging at a physical object, such as earth’s gravity is attracting a little ball travelling in space. Now the ball moves – it falls. Actually the moon also falls in a sense when it is orbiting the earth. Cannon ball and gravity. If the initial velocity is too small the ball traverses a parabola and eventually reaches the ground (A, B). 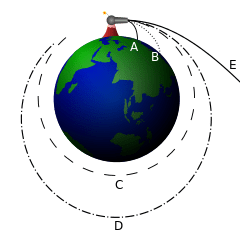 If the ball is just given the right momentum, it will fall forever and orbit the earth (C). If the velocity is too high, the ball will escape the gravitational field (E). (Wikimedia). Now I said it – ‘field’! – although I tried hard to avoid it in this post. When bodies move their positions change. The strength of the gravitational force depends on the distance from the mass causing it, thus the force felt by the moving ball changes. This is why the three-body problem is hard: You need a computer for calculating the forces three or more planets exert on each other at every point of time. Force acts – things move – configuration changes – force depends on configuration – force changes. In order to get this going you need to know the configuration at the beginning – the positions and the velocities of all planets involved. the dependence of the force on the position of the masses. the initial conditions – positions and velocities. But there is an alternative description of classical dynamics, offering an alternative philosophy of mechanics so to speak. The description is mathematically equivalent, yet it feels unfamiliar. It is called the action. The action has a dimension of [energy time], and – as the force – it has all information about the system. The action is calculated by integrating…. I am reluctant to describe how the action is calculated. Action (or its field-y counterparts) will be considered the basic description of a system – something that is given, in the way had been forces had been considered given in the traditional picture. The important thing is: You attach a number to each imaginable trajectory, to each possible history. The trajectory a particle traverses in time slot t1-t2 are determined by the Principle of Least Action (which ‘replaces’ Newton’s law): The action of the system is minimal for the actual trajectories. Any deviation – such as a planet travelling in strange loops – would increase the action. Principle of least action. Given: The positions of the particle at start time t1 and end t2. Calculated: The path the particle traverse – by testing all possible paths and calculating their associated actions. 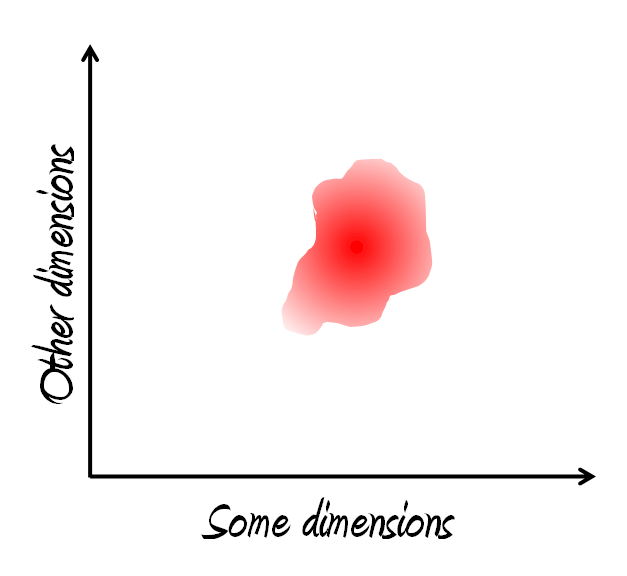 Near the optimum (red) path the variation does hardly vary (Wikimedia). This sounds probably awkward – why would you describe nature like this? (Of course one answer is: this description will turn out useful in the long run – considering fields in 4D space-time. But this answer is not very helpful right now). That type of logic is useful in other fields of physics: A related principle lets you calculate the trajectory of a beam of light: Given the start point and the end point a beam, light will pick the path that is traversed in minimum time (This rule is called Fermat’s principle). This is obvious for a straight laser beam in empty space. But Fermat’s principle allows for picking the correct path in less intuitive scenarios, such as: What happens at the interface between different materials, say air and glass? Light is faster in air than in glass, thus is makes sense to add a kink to the path and utilize air as much as possible. 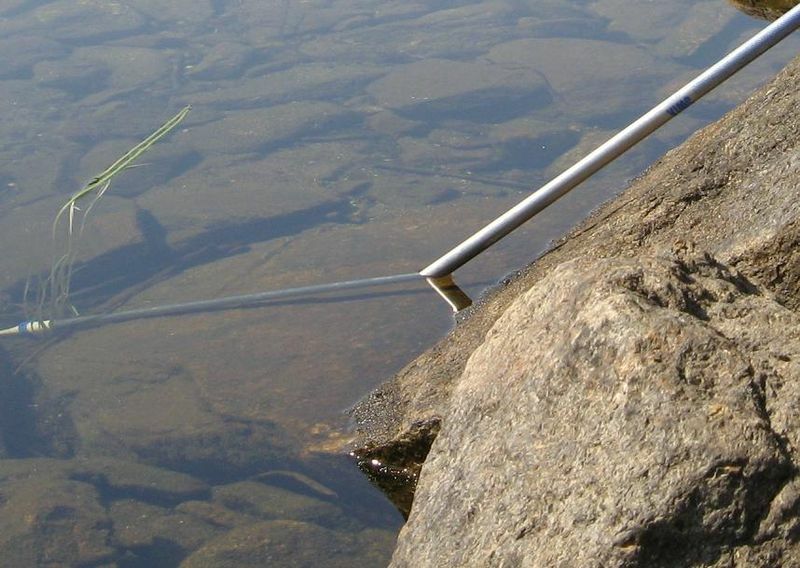 Refraction at the interface between air and water (Wikimedia). The trajectory of the beam has a kink thus the pole appears kinked. Those laws are called variational principles: You consider all possible paths, and the path taken is indicated by an extremum, in these cases: a minimum. Near a minimum stuff does not vary much – the first order derivative is zero at a minimum. Thus on varying paths a bit you actually feel when are close to the minimum – in the way you, as a car driver, would feel the bottom of a valley (It can only go up from here). Doesn’t this description add a touch of spooky multiverses to classical mechanics already? It seems as if nature has a plan or as if we view anything that has ever or will ever happen from a vantage point outside of space-time. Things get interesting when masses or charges become smeared out in space – when there is some small ‘infinitesimal’ mass at every point in space. Or generally: When something happens at every point in space. Instead of a point particle that can move in three different directions – three degrees of freedom in physics lingo – we need to deal with an infinite number of degrees of freedom. Then we are entering the world of fields that I will cover in the next post.